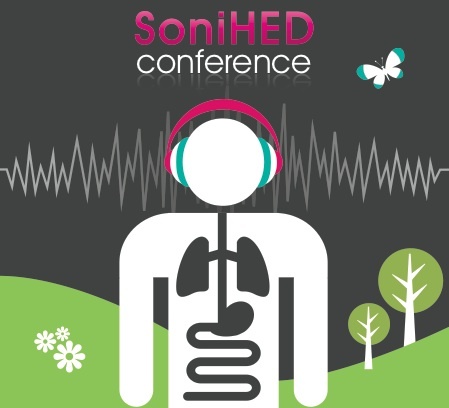 The Conference on Sonification of Health and Environmental Data is funded by Wellcome Trust and Centre for Chronic Diseases and Disorders (C2D2) at the University of York. It is organised by Department of Theatre, Film and TV and the Stockholm Environment Institute of the University of York. This Conference will bring together experts in the fields of sonification, sound design, health sciences and environmental science to evaluate and discuss novel sonic ways to engage with data. Barrass, S. (2014) Acoustic Sonification of Blood Pressure in the Form of a Singing Bowl, in Proceedings of the Conference on Sonification in Health and Environmental Data, 12 September 2014, York University, UK. Here is a video presentation of the paper that I made for the conference.